Home Software Technology Avast now offers Avast! Free Mobile Security for Android! Avast now offers Avast! Free Mobile Security for Android! 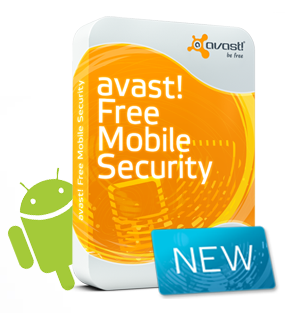 The leading Antivirus Company, Avast had released its totally free security tool for Android phones with extensive features,the Avast! Free Mobile Security is basically equipped with Real-Time protection, Remote Features, and an Anti-Theft l tool called the Theft Aware which includes T-Mobile, N-TV, AndroidPIT, and Android Police. Avast! Free Mobile Security like the PC version it allows users to performs on-demand scans of all installed apps and memory card content, as well as on-access scans of apps upon first execution, etc. Its Privacy Report feature scans potentially privacy risky installed apps while the Web Shield warns malware-infected sites and the Firewall will block stop hackers. The SMS/Call Filtering can block messages or calls the App Manager works similar to Windows Task Manager. Avast! Free Mobile Security not only intended for mobile threats but also a protection for thieves. The Anti-Thief features allow users to track loss phones in a various ways. By enabling the App Disguisers the thieves could hardly find/remove apps plus it has a Stealth Mode feature making any apps invisible with no sound or trace. The Self-Protection feature enables the Avast! Free Mobile Security can’t be remove / uninstall by thieves even by hardware-resets and can also disable the USB ports on rooted phones. Also, it can control the battery life of to block immediate shutdown, notify when the SIM is change and even can set “whitelist” of approved SIM cards. The Avast! Free Mobile Security has a Remote Siren feature which enables the phone sound loudly on its max volume when thieves try to silence while it also allows remote screen locking with password including the phone settings remotely. It can locate the phone via GPS, Wi-Fi or mobile network even restart the device. I also provides access remotely to history logs. The Remote Calling feature can blacken the screen to make the thieves couldn’t see its apps and the owner could query any important logs or even physically wipe all the phone memory. The remote setting can be changed anywhere and works best on rooted android phones.